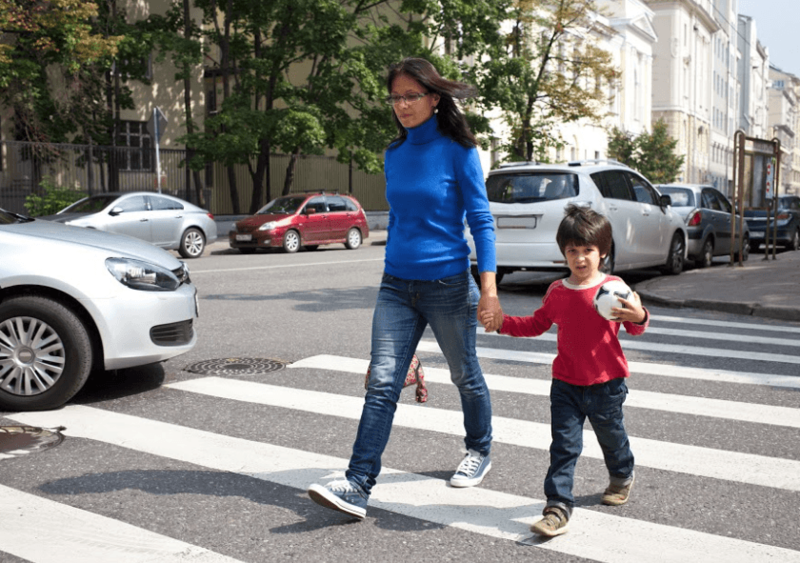 Pedestrian accidents are a leading cause of death among both adults and children in the United States. In fact, a vast majority of auto accident-related fatalities involve pedestrians. Pedestrians are especially vulnerable to death or severe injuries during accidents because they are completely unprotected. Unlike a car driver who has a seatbelt, airbag, brakes, and padding, pedestrians have no protection. In addition, many pedestrian accidents occur suddenly and unexpectedly, so the injury victim often has no time to move out of the way of an approaching vehicle. Devastating injuries can occur that cause permanent debilitating pain and life-long disability. Were you involved in a pedestrian accident in Elk Grove? My law firm has represented local clients in the Elk Grove community for the past 20 years. My team of experienced pedestrian accident lawyers, paralegals, experts, and investigators have worked with numerous clients, providing each with a personalized and customized experience. We know how traumatic a pedestrian accident can be for you and your family, so we always strive to provide you with helpful advice, vigorous representation, and a close, personal friendship. We promise to treat you like family and always proceed with your best interests in mind. To get free and friendly advice regarding your pedestrian accident case, call me today at (916) 694-0002 in Elk Grove. Pedestrian accidents are commonly caused by cars, trucks, motorcycles, trains, and bicycles. Most of these accidents are single vehicle crashes that are caused by driver negligence. A driver is negligent when he or she fails to operate the vehicle safely. This unsafe operation might include violating a traffic safety law or failing to pay attention to the road and potential hazards. Pedestrian accidents are especially likely to have permanent effects, such as quadriplegia, paraplegia, decreased sensation, loss of limbs, impaired cognitive functioning, and diminished mobility. We commonly see severe brain, spine, neck, and chest injuries, as well as broken bones, cuts, bruises, and internal injuries. In addition, most of our clients also suffer from other non-physical injuries, such as financial loss due to inability to work, mounting medical bills, and emotional pain and distress. Our attorneys can help you evaluate your damages. I have served Elk Grove residents for the past 33 years. Over the decades, I have worked on numerous pedestrian accident cases and have become well-versed in California personal injury law, courtroom procedures, and creative investigation strategies. I understand how to communicate with a jury, argue a motion before a judge, artfully negotiate a settlement, and provide a thoughtful ear to suffering clients. My team and I deeply care about each client. We want to know all about your accident, but we also want to know about you. What was your life like before the pedestrian accident? What do you do for work? What is your family like? What are your hobbies? What are your hopes and dreams? How has the accident negatively affected your ability to provide for your family? An understanding these aspects of your life enables us to better explain to a judge or jury the true impact of your pedestrian accident. Every accident is different, so it does not make sense to approach each case uniformly. We will evaluate your needs, goals, and best interests; investigate the crash; and customize a personalized plan for your case. We will solicit your input at every step of the way. This is why we are known as the ‘personal’ personal injury lawyers in Elk Grove. I’m Ed Smith, an Elk Grove pedestrian accident attorney with the most informative accident website available – www.autoaccident.com.